There are 20 basic conditions specified by the Duke Of Edinburgh’s Award – these ensure that expeditions are all run to the same standard and that, most importantly, every participant has gained a worthwhile and challenging award. We have listed the conditions, and how TrekCo ensures that your expedition with us fulfils the conditions. 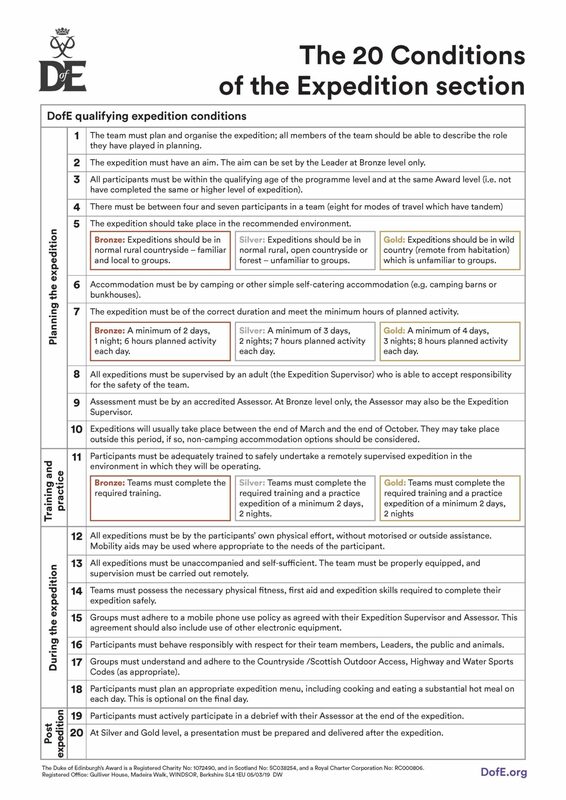 Please note that as of early 2019 there have been some changes to the 20 conditions, and we show here the page from the DofE website.